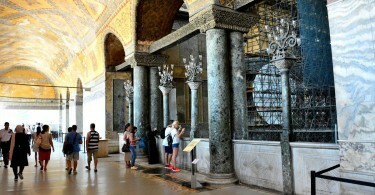 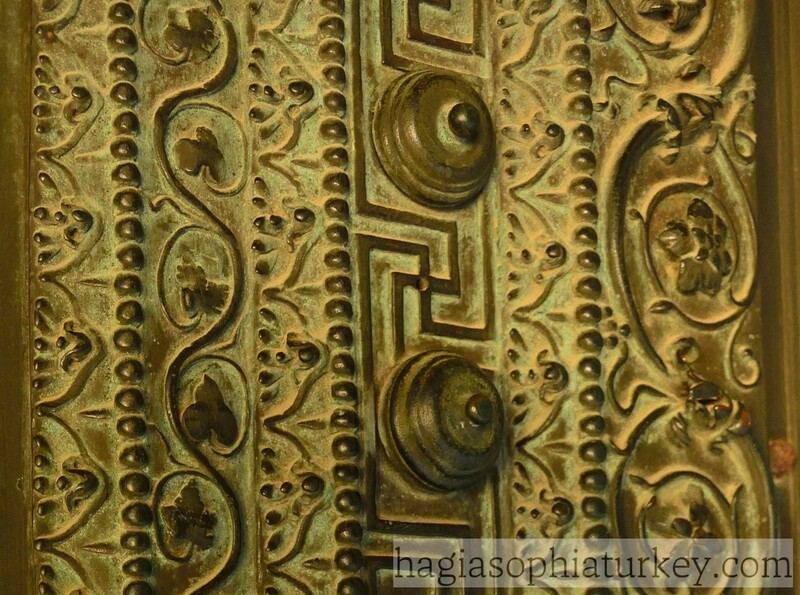 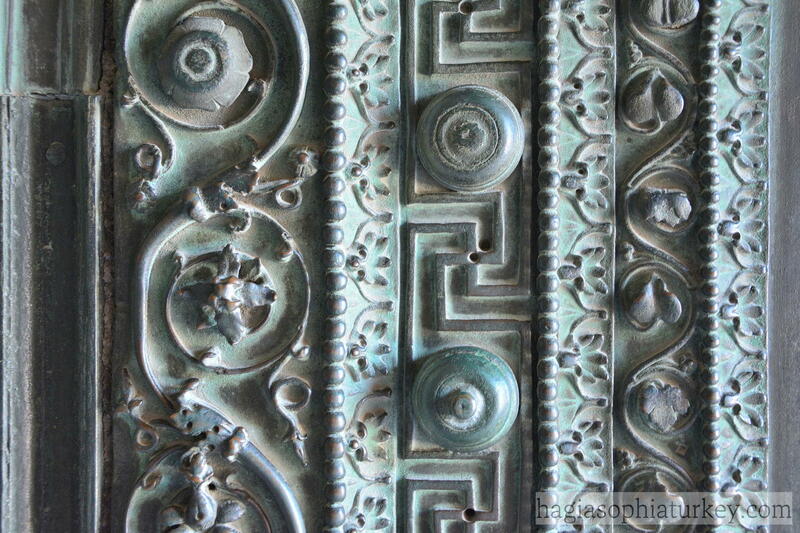 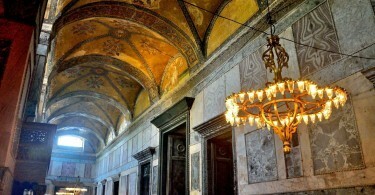 The Beautiful door near the mosaic of Justinian, Constantine and Jesus, dates back to the 2nd century BC. 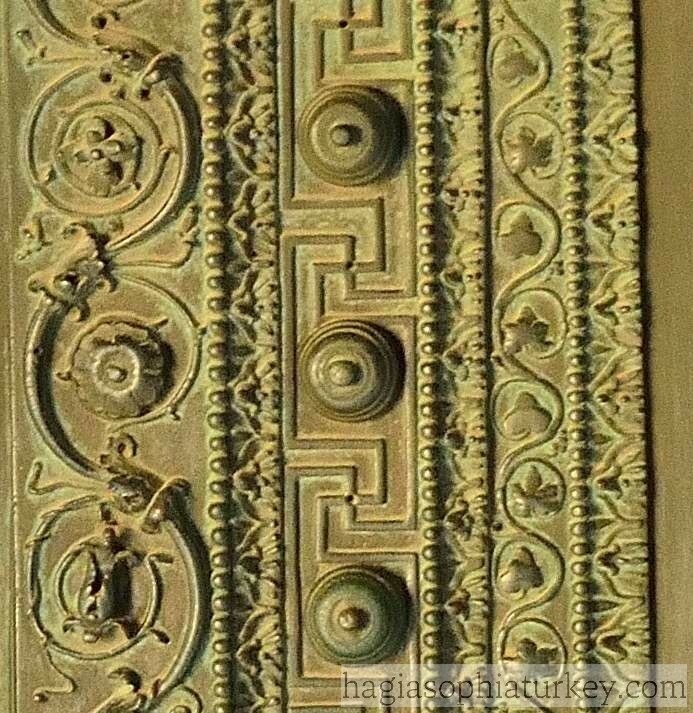 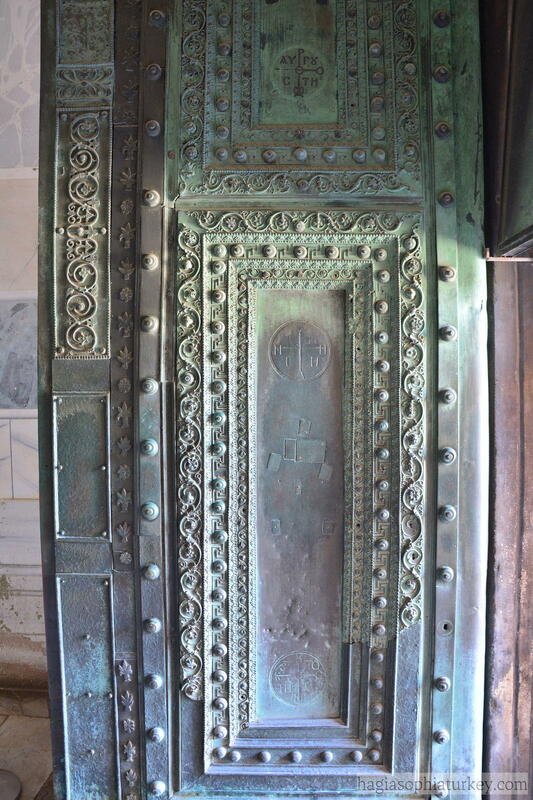 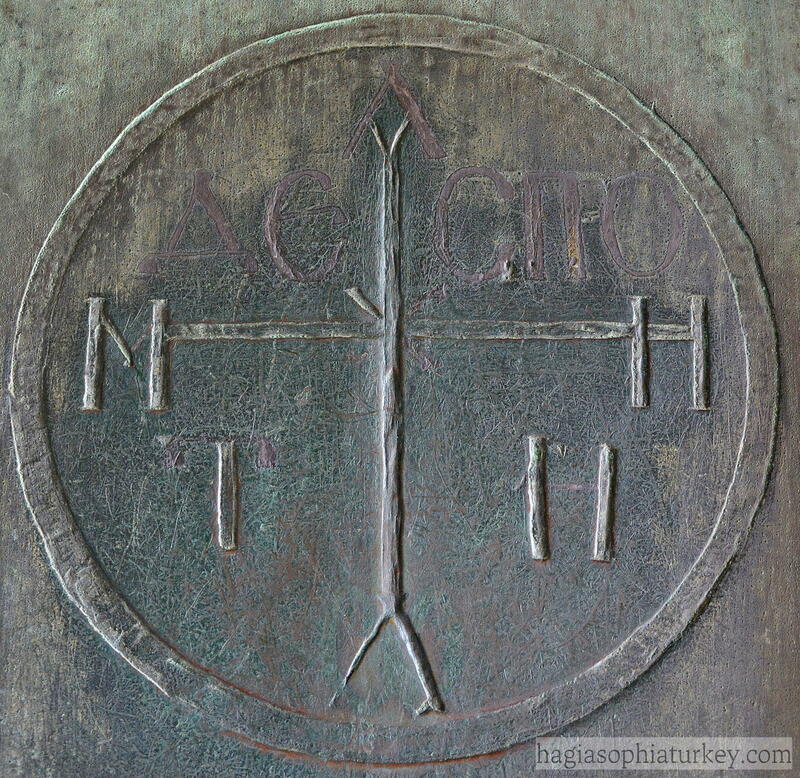 The door is believed to have been brought from a pagan temple in Tarsus by Theophilus in the 9th century. 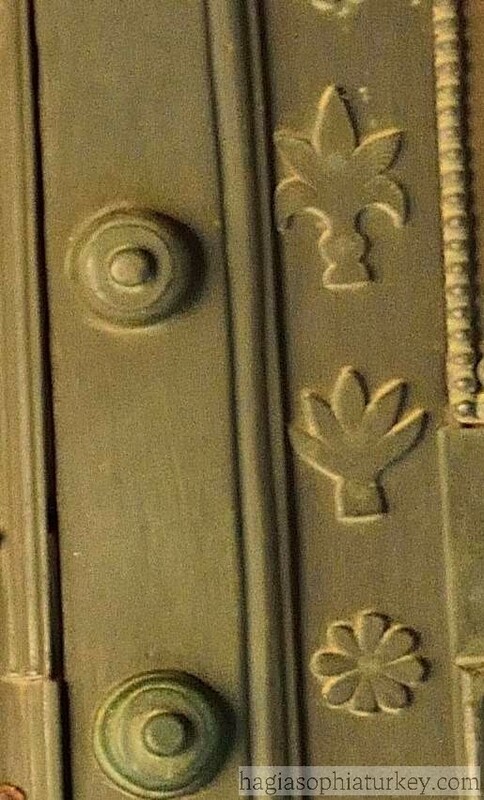 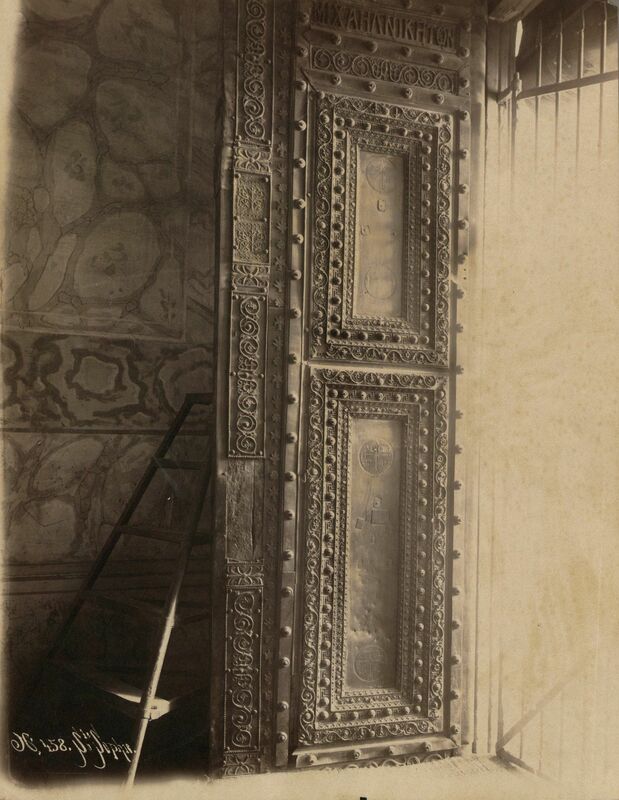 The door is ornamented with geometrical and plant motifs and bears monograms of the emperors. 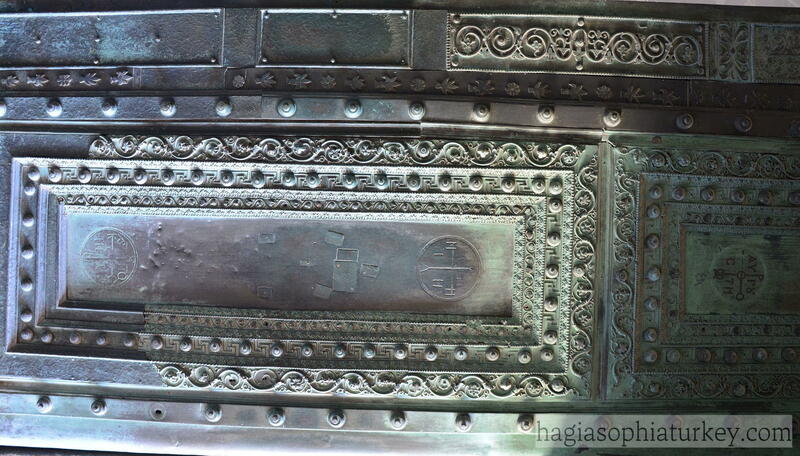 It was used by the Emperors in liturgies.